For all its obvious politically partisan slant, this portrait of the people and personalities behind The London Fog gives insight into the mysterious and controversial figures here at southwestern Ontario's favourite URL. I first met Lisa and her Gang on a dark and stormy night. There was thunder and lightning, and as what's his name, 'The Mayor', had bullied me against my will to go to London (where Lisa and her gang hang out), I was filled with anxiety and felt uncomfortable. Federal Finance Minister Jim Flaherty's admission that "political direction" was involved in recent cuts to arts funding may be taken as a bit of a "gotcha" moment by an arts community eager to force an election issue. But public arts funding has always been the result of political direction in the first place, from the usual optimistic practise of trading actual wealth for contingent electoral constituencies. Neither as an election issue nor on its own does arts funding exist for the benefit or interest of ordinary Canadians who have learned to pass by crap every day of the week with immunity. If the arts community can actually compose an election issue to which ordinary Canadians will respond, it will have finally succeeded where its art has failed … a belated sign of genuine creativity, as it were, but hardly surprising from anyone when cold hard subsidies are on the line. No man ever wrote any good poetry to show that childhood was shocking, or that twilight was gay and farcical, or that a man was contemptible because he had crossed his single sword with three. The people who maintain this are the Professors, or Prigs. In a letter introducing a questionnaire to local candidates in the upcoming federal election (PDF), Mayor Anne Marie DeCicco-Best admits that accomplishing the "health" of at least this one Canadian city is beyond her administration's abilities and requires "collaboration between all three orders of government." This is a bold demand of federal politicians from an administration that has already presided over municipal budget increases of more than 40 per cent since 2000 and that receives 121 per cent more in grants from other levels of government than the average for Canadian municipalities. After effectively vetoing a sale of London Hydro that could significantly reduce the City's enormous debt financing obligations, it appears that the health for which London's administration is really concerned is the health of its own assets … and that other levels of government should be obliged to tend to any other kind of "health" in order not to jeopardize those assets. Will your Party give us more money? Will your Party give us a share in the exercise of federal power without having to take any responsibilities for it? Despite the simpering promises that will inevitably be made in response to the questionnaire, the federal government under any Party will always be just as interested in the health of its own assets as well, so it's difficult to foresee how the ordinary health of cities themselves will ever be improved by higher federal taxes. 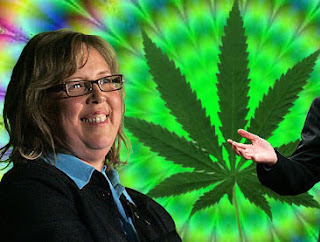 While Elizabeth may not want to apologize for calling me stupid, she is sorry she hasn't smoked pot. 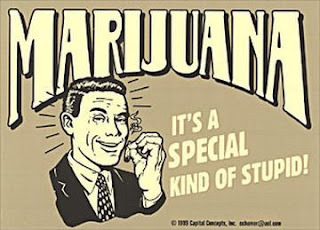 "I've never used marijuana. I apologize." I'm really not sure why she's sorry for that - it's never too late to start. I'm sure there's got to be a couple of hippie holdovers left in the Green party who can set her up with some chronic (the sort of penitent who whipped him/herself with the seemingly helpless cause back in the golden age of fringe - before the party was hijacked by trendy and/or disgruntled ex-PCs and Liberal opportunists). But I some how imagine her to be one of those people who, when she takes a toke, gets right in your face when you're trying to chill, and just won't shut up. She devotes too much energy to altering the ways of others, and any experienced toker will intuitively sense this potential buzz kill is a no spark zone. Whatever the case, dope is green and that fits in pretty well with the party colour scheme. Just how green? The party would like to see "small, independent growers" thrive, and the government taxing the weed at the same rate as tobacco, generating an estimated one billion dollars Canadian (931 million US) annually. Given the carbon tax she'll hit the growers with for their lights and the GST she'll reinstate on the sales, that's pretty damn green. Throw in some income tax breaks for people who don't really earn any income (collecting what they do earn through the GST and carbon tax), and you've got an especially green budget. "No to selling and no to …"
… this, that, or anything other change to London Hydro as it now stands, the graven parochial image of its interlocutors Stephen Turner and the Urban League of London. "Selling would be short-term gain for long-term pain. … Londoners get a 1.5 per cent reduction on their … taxes because of the $6.2 million the utility pays to the city in interest and dividends. If we sold, we'd lose that ongoing source of revenue." At the risk of repeating myself, the utility pays $2 million annually in dividends — a very modest return on recently valued at $246 million. The rest is interest paid to the City on a loan, an obligation that will either continue to be paid or be discharged to the City in any event of a sale. On the other hand, a $2 million annual dividend would be far exceeded by the annual $35-40 million savings on municipal debt-servicing obligations — $59.8 million in 2008 — if proceeds of a sale were applied to the City's $350 million debt. I've been trying to follow the election here in my home and native land. Maybe I'm just getting old and cynical, ok, so I am old and cynical. Where is the balance that our national broadcaster is supposed to be providing? It used to be the Liberals who got all the wet kiss coverage. Now it seems that the Green Party is their new love. The media, and by this I mean all of it, have forgotten that their role in society is to report on the events in a fair and balanced manner. Their job is not to make the news, but to report the news. It is not their job to convince me to choose one way or another. It is not their job to tell me what I think, mostly because they neither know what I think, nor do they seem to really care. I'm growing more annoyed (or is it amused) by their habit of interviewing themselves so they can reinforce their smarter than us attitude. What we are fed, on a regular basis, is more like warm distilled water than a good cold beer. Are we really so stupid as to need journalists who opine on what is right and good for us? Whatever happens, local politicians say, head office must be in London, jobs must stay here and the city must retain control. Unfortunately for Londoners, preemptive rejection of a full sale on the grounds of such feeble sentimental clichés dismisses opportunities both for taxpayers as well as for Council to take a responsible approach to its debt and infrastructure problems by raising revenues and discharging liabilities from its own bloated assets. Contrary to the lucrative suggestion by the London Free Press that the utility "pumps $6.2 million a year into city coffers," London Hydro yields the City only $2 million in annual dividends — a strictly modest return on assets recently valued at $246 million. The remainder is interest paid to the City on a loan, an obligation that will either remain or be discharged in any event of a sale. More importantly to taxpayers, much of the $30 million that the City claims is needed annually for maintenance and building of basic infrastructure can be obtained from spending on debt-servicing obligations that reached $59.8 million in 2008 alone. The savings from these costs would likely approach the $30 million annual figure alone by applying the proceeds of a sale of London Hydro to the City's $350 million debt, and would certainly far exceed the annual dividend. Council's principle consideration if it wishes to be seen as a responsible steward of London's finances should only be obtaining the best price for London Hydro's assets — other options under discussion, including mergers with or acquisition of smaller utilities, will net no real difference to taxpayers. Neither local control nor ownership suggest themselves as inherent benefits to a public that is generally disinterested in a utility's operations except to quietly receive service without intrusion or undue notice. Council in any case directs itself and staff to act almost strictly as a disinterested stakeholder to an independent London Hydro executive in day-to-day operations, a hands-off approach that minimizes politicization of the utility's operations. So why now? Would Londoners even notice a difference in service or value from another publicly-owned utility whose head office is elsewhere, or from a privately-owned one for that matter? Not likely, and no suggestions to the contrary have ever been made even by politicians. The value to the public of public ownership is always only symbolic, and in the case of a utility on whose operations the public has no ordinary influence or impact except as a customer, it is strictly so. And when the representation of the symbol is London's own Council, it's a very weak symbol to begin with.
" …it makes sense to tax our laziness and stupidity…"
…writes a commenter who still presumably wants to be able to vote, in response to the Toronto Star's report on proposals to ban, tax or impose deposits on coffee cups, takeout food containers and plastic bags in Toronto (link via Jay Jardine). Other Toronto Star commenters are much more enthusiastic about outright bans ("…we should be encouraging people to cut down on their coffee consumption…"). The Association of Municipalities of Ontario worries that post-consumer packaging costs Canadian municipalities about $234 million annually, but how much more does municipal packaging cost the rest of us? From a journalistic perspective, entirely superfluous and predictable information has at least the advantage of demanding very little effort to report … so there's no surprise to see numerous articles flooding newspapers noting that Canada and the world* all "want" Obama … a bold claim for Canadians who don't even know what they want from their own election. But why wouldn't non-Americans want an American President who appears to be more pliant or even submissive to extraterritorial doctrine … besides which it is always easier to wish socialism on someone else. * If 46 per cent of respondents worldwide say that "the election of a black man as president would 'fundamentally change' their perception of the U.S.," wouldn't that indicate that at least 46 per cent of the world is racist? The shame of the upcoming federal election, according to London Free Press Editor-in-Chief Paul Berton, is that it isn't going to be "about the environment or the Liberal plan for a carbon tax." Unfortunately for Berton, such vague and insubstantial objects suffer from association with a vague and insubstantial preposition, and vice versa. We may not get a carbon tax this year or next or even the year after. But a carbon tax, or something very much like it, is coming whether we wish to admit it or not. A carbon tax by this description as an irresistible force of nature — like global warming? — would hardly then be worth a debate in the first place. But Berton does not entirely believe his own scoldings, or his rebuke that "common sense tells us, even if some refuse to admit it, that a carbon tax … can create as many jobs as it might cost" would be unnecessary. Common sense has apparently retired from public life and become Berton's own personal therapist. The abstract of Berton's dissertation is that a carbon tax is good for the environment because the environment is good for a carbon tax because a carbon tax is good for … etc. With as little effort, readers can conclude that a means to an end may just as well be an end to our means. So be sure to vote for the Green Party, you nation of morons! “Canadians … will always have a thought in the back of their mind, which is, ‘Imagine if this were a majority Conservative government,” said Montreal Liberal MP Denis Coderre. …either for the prospects of Canadians or of Liberals as it turns out. Read the rest here. Board of Control might ordinarily be apprehensive of any organizational initiative to investigate "where our tax dollars are being spent." But in the case that the CAW is doing the investigating, "areas [that] need attention in this regard" are only those in which more tax dollars can be spent in their own direction. Lest anyone ever confuse the CAW with an advocate for fiscal discipline by government, Board of Control can be expected to dispatch Item 34 (PDF) at the end of next week's meeting (PDF) with the speed and summary gestures that befit a semi-literate submission. buy Canadian products and how they work. Is there a policy in my community and if so could you give me information on the policy? We are now going to all municipalities and investigating where our tax dollars are being spent and what areas need attention in this regard. Board of Control might at least be expected to appease one token gesture between dependents with another of its own by directing staff to make a report. It may not result in more subsidized employment for the CAW, but it will keep the make-work projects going for Ms. Wake's CUPE brethren at least. Generally, I'd rather roll an annual toonie down the gutter and into the sewer than bequeath it to the Conservatives by casting a vote for them in an election. Still, I have my price. If I thought that a majority Conservative government would finally turn off the CBC sewer pipe at the source, I'd have to reconsider participating. According to the Canadian Press, Ontario Premier Dalton McGuinty plans to use the "positive reinforcement [that] motivates the five-year-olds his wife teaches in the classroom" to cajole the federal government into giving more money to the province. McGuinty is no stranger to kindergarten pedagogy, but it remains to be seen whether toddler tricks will work as well on other politicians as he thinks they do on voters. But baby games for baby prizes. McGuinty could be arguing for federal tax cuts that would put more money back in the province rather than toying for subsidies to the province, but the difference is that his government collects directly only in the latter case. Anything less is just "unfair treatment." Do you think sound poetry just grows on metal trees? Regarding sound poet Penn Kemp's cry for cash for trash, here's some stuff that won't be funded any more by the Harper fascists -- that is to say, by all you lucky Canadian taxpayers. This was recorded by me at a "peace" rally last year. "All the poems I'm passing over are just fabulous." Ask yourself, how much did it cost to write the two poems in this video? .0001 cents' worth of graphite and two piece of paper? There was a homeless guy the other day loudly muttering deep stuff to himself. I gave him 20 cents. He didn't even ask for it. He didn't even call me a Nazi for not giving him the whole dollar, because he knew I'd given him enough riches to write dozens and dozens of poems. Oh well, maybe I can get in on this thing too. I don't know if you're artistically sensitive enough to realize it, but there are new stars in the sky that began to shine only because I wrote that magnificent poem. Two formerly extinct species of algae are now hard at work repopulating their biomes, inspired by my poeticity. I figure the government owes me about $40.00 for my contribution to alleviate the emptiness of your culture, your landscape, and your night sky. But you hate criminals won't pay up, I know. Basil and I write culturally resonant music with deep, profound lyrics, using expensive equipment, honed skills, and our valuable time. We don't get any of your money for all the hard work we've put into it. We even have to pay for our own beer and whiskey, you fascists. Why don't you just put us in the camps already? Led by some Londoner named Penn Kemp, local artists are apparently stumping for more federal handouts again … or against cuts to existing funding programs as they would have it, but which is exactly the same as demanding more of the same again. On the basis of general name recognition at least, few people anywhere would have any less claim to arts welfare payments than Ms. Kemp … or any of her Facebook friends for that matter. And just as much — or as little — can obviously be said for claims made on the entirely anonymous grounds of value to something called "our cultural identity as Canadians." 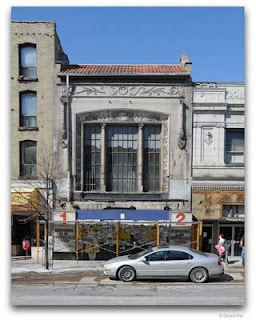 Self-importance and dependence on subsidies may make poor specimens for Canadian cultural identity, but they do make useful work as the cultural identity of Canadian artists to justify claims for more subsidies and importance, and vice versa. Who are Canadians to say anything about their own cultural identity? Still, Ms. Kemp's idea that artists deserve handouts because they "bring in a lot of money" deserves consideration as an especially artistic interpretation. Non-artists can only bring in money with the expectation of having to hand it out instead. In fairness to Angelina, the arts are only distant strangers to history in today's universities, but Germans in the Third Reich were practically tripping over state-funded art. For all its other real or perceived faults, no one can ever say that any garbage ever gets past the London Free Press. Local refuse has established itself as a top leader brand for the newspaper under the management of Editor-in-Chief Paul Berton, who just last week helpfully informed readers that city staff had removed trash bins from Ted Early Park this spring in an effort to reduce litter. That's not as counter-intuitive a tactic as might seem at first — although quite as uninteresting as expected — on the premise that minor inconveniences may promote minor awareness of minor behaviours. And, according to anecdotal evidence as reported by Berton, the strategy may even be working … or may not, but who's to tell? Evidence to suggest that anyone aside from Berton actually cares is, however, even less than anecdotal, including for city staff who apparently removed the receptacles having "felt they had more productive things to do on behalf of taxpayers in city parks than to empty bins and clean up refuse." Do they really? Taxpayers might similarly feel they have more productive things to do than pay city staff to decide for themselves what's productive for taxpayers. But in fairness the peremptory tone and rationalization do not belong precisely to city staff but are likely more products of Berton's vicarious fantasies, staging for himself the ideal attitudes of the garbage men who steadily occupy his consciousness. Still, less litter in city parks or elsewhere remains a desirable outcome for almost anyone of course, but Berton is unclear whether he regards litter reduction as an effect of "a more socially responsible, more environmentally friendly society" or as a cause for it. It's likely all one and the same to an habitual liberal like Berton, possessed by the relentless imperative to accommodate all separate or conflicting propositions into an unreticulated mass of prejudicial buzzwords. In the language of social engineering suggested by Berton, cause resembles effect resembles cause … and the world goes round and round. More than anything, however, litter is really only an effect of ordinary courtesy and consideration … or at least a lack of them. Berton may mean just those by "social responsibility," but why use such a distended and ambiguous term? And why conflate "socially responsible" with "environmentally friendly" to such a commonplace end, especially if there is no evidence that the trash that city staff is not picking up themselves isn't just being thrown out somewhere else? For no other reason than wishful thinking on Berton's part that people will attach as much significance to these contrived journalistic buzzwords as repetition would suggest. And it must be admitted that a great deal of repetition has certainly helped in the cause. But what the appeal to buzzwords gains in smooth passage, it loses traction in meaning. If litter reduction is a commendable aim — and it is — then surely the proper and most effective exhortation is made to ordinary human courtesy rather than to recent academic devices. Even where courtesy and consideration have been neglected, their use and meaning are never wholly forgotten by many … far more than be said for artificial constructs like "social responsibility" and "environmental friendliness," whose meanings are parsed to anyone's own fleeting self-satisfaction, shifting with fashion's every attention span and generally impervious to even modest scrutiny. Blank canvases for self-made virtue, the "social" and "environmental" of buzzword prefixes are quick and easy opportunities for temporary narcissistic gratifications — which is why they're repeated so frequently of course. But stripped of meaning by their servitude to buzzwords, "social" and "environmental" as qualifiers of modern pursuits also turn out to be remarkably indifferent supports for society and the environment. While ordinary courtesy and consideration are easily resumed from the long experience of their practise and benefits, the attempt to assume the slippery postures of inconstant buzzwords is doomed to produce no lasting effects … beyond sustaining the market for journalists and academics to hector us, of course. But noble ends, if that is what they really have in mind, deserve noble means and not merely benign intentions. YAF's Jason Mattera goes undercover in yo-yo style at the Democratic National Convention. A protestor in the following video even uses the Fenritic term "heteronormativity" in a non-heteronormative way! HT to Darcey, who highlighted the funniest one -- a petition to get Netflix and E-Harmony accounts for Guantanamo detainees. "Hell yeah I'll sign!" Go there to watch it.